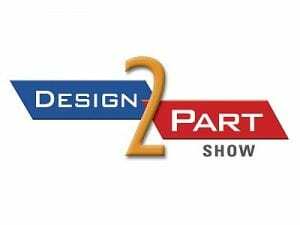 Wayne, Pa. (November 13, 2018) —Plastic and rubber solutions that meet a variety of manufacturing requirements will be featured by Action Technology, a Tekni-Plex business, at the Midwest Design-2-Part Show, St. Charles, Illinois, November 14-15, Booth 431. “Manufacturers are continuously searching for suppliers with expertise to help them bring their products to market. Action Technology has decades of experience in manufacturing both plastic and rubber materials and components. That, coupled with our global production footprint, make us an ideal partner for a variety of market segments including medical, pharmaceutical, personal care, household and industrial chemicals, food and beverage,” said John Doherty, sales manager, Action Technology. The business unit has manufacturing expertise in a variety of processes including extrusion, rubber sheet calendaring, rubber and plastic part punching, and molding. Its state-of-the-art equipment and processing allows it to deliver components that meet the tight tolerances required by demanding applications. Action Technology also develops custom compounds to meet specific customer needs and challenges, as well as uncured compound, tight tolerance sheet and complex molded parts. It has expertise in extruding a variety of polymers including PP, PE, PVC, TPE’s and specialty blends. Action is ISO certified, has clean room capability and is NSF certified for specific extruded tube items.